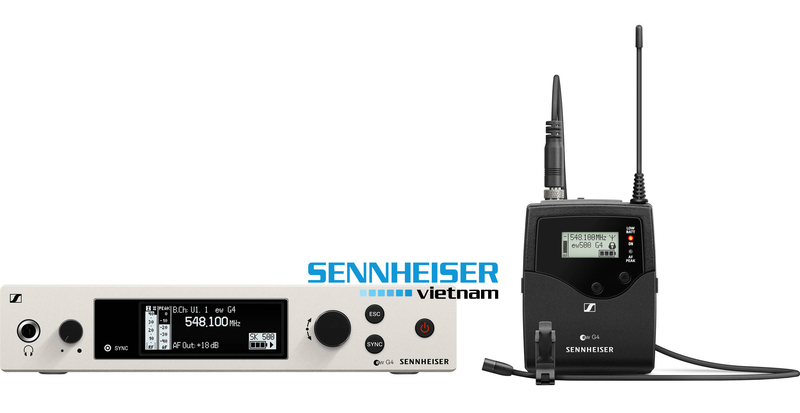 The EM 300-500 G4 Wireless True Diversity Receiver from Sennheiser is the latest addition to their evolution series of wireless receivers. 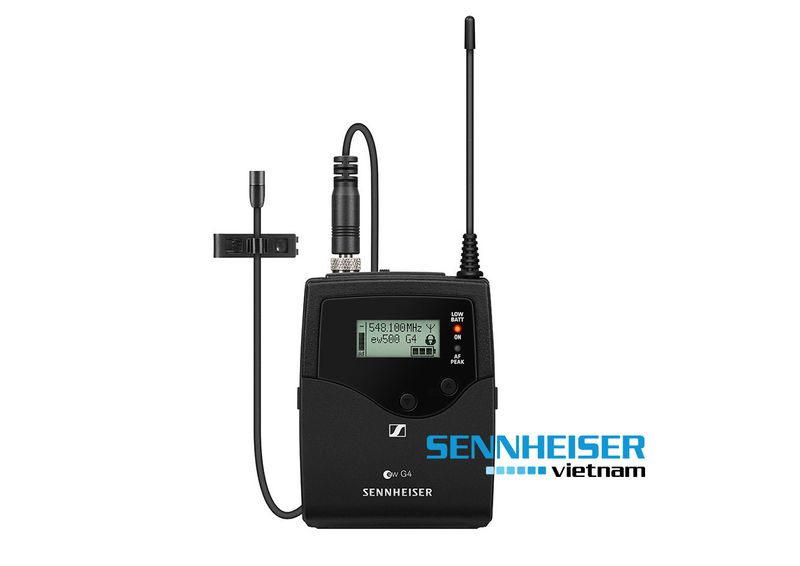 It operates in the UHF frequency range and can be used with a companion transmitter and microphone (sold separately), as part of a wireless RF transmission system for live stage, theater, and presentation applications. The half-rack receiver features 3250 frequencies and is tunable in 25 kHz steps. There are 20 fixed frequency banks with up to 32 compatible frequency presets and 6 user banks with up to 32 user programmable frequencies. This receiver is built with a menu-driven backlit OLED display showing current frequency, frequency bank and channel number, metering of RF level, volume level, line output level, lock status, battery status, muting function, and more. Enclosed in a rugged metal housing, the EM 300-500 G4 receiver is equipped with a balanced XLR-3M audio output along with an unbalanced 1/4" audio output. 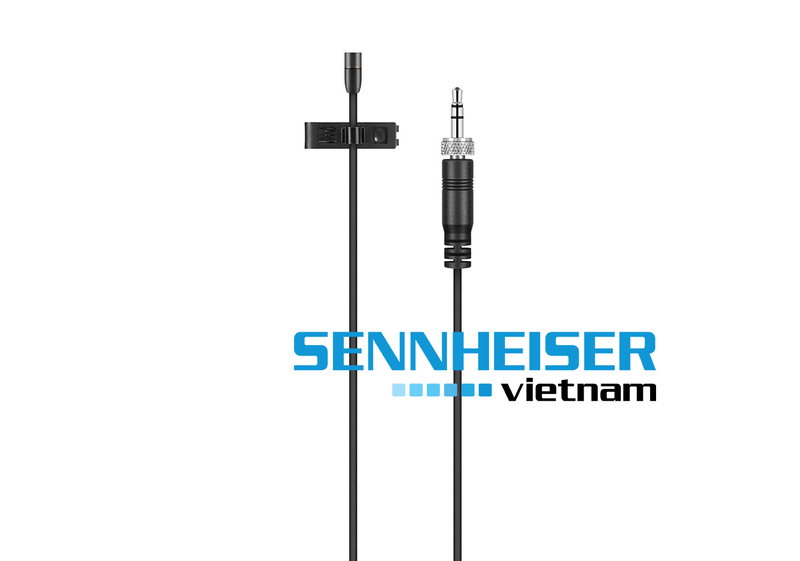 A 1/4" headphone output with headphone volume control is provided along with an Ethernet port (RF45) for remote network-based monitoring and control, using Sennheiser's Wireless System Manager software. Two BNC-type sockets are for connecting the antennas. Finally, the half-rack receiver operates on the included 12V power supply and includes a GA3 rackmount set. 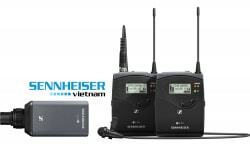 The SK 500 G4 Wireless Bodypack Transmitter from Sennheiser is the latest addition to their evolution series of wireless transmitters. It operates in the UHF frequency range and can be used with a companion receiver (sold separately), as part of a wireless RF transmission system for live stage, theater, film, and presentation applications. The bodypack transmitter features 2000 frequencies that are tunable in 25 kHz steps, 20 fixed frequency banks, 32 compatible frequency presets, and 6 user banks with up to 32 user programmable frequencies. The transmitter's menu-driven backlit LCD display shows the current frequency, frequency bank and channel number, metering of AF level, lock status, transmission status, muting function, battery status, and more. In addition, the operating range is about 330'. 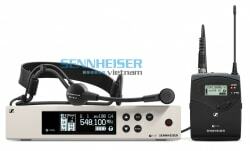 This transmitter incorporates a Sennheiser HDX compander system, a defeatable pilot tone squelch, and is equipped with a frequency range from 80 Hz to 18 kHz. Finally, power is supplied by the two included 1.5V AA sized batteries, or by one optional Sennheiser BA 2015 rechargeable accupack. A travel pouch is also included. Updated bodypack transmitter with increased bandwidth and transmission power. Up to 32 compatible channels. Up to 50 MHz bandwidth with 2000 selectable frequencies, fully tunable in a stable UHF range. Ethernet connection for Wireless Systems Manager (WSM) control software for advanced frequency coordination in multi-channel setups. High RF output power (up to 50mW, adjustable in three steps 10/30/50) depending on country regulations.